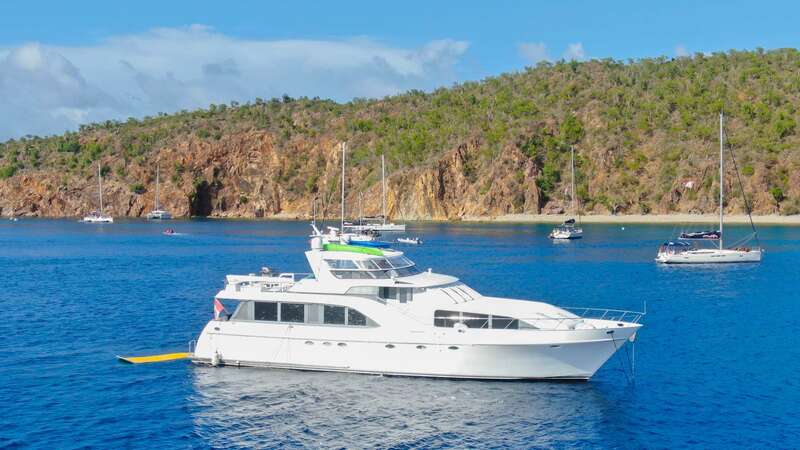 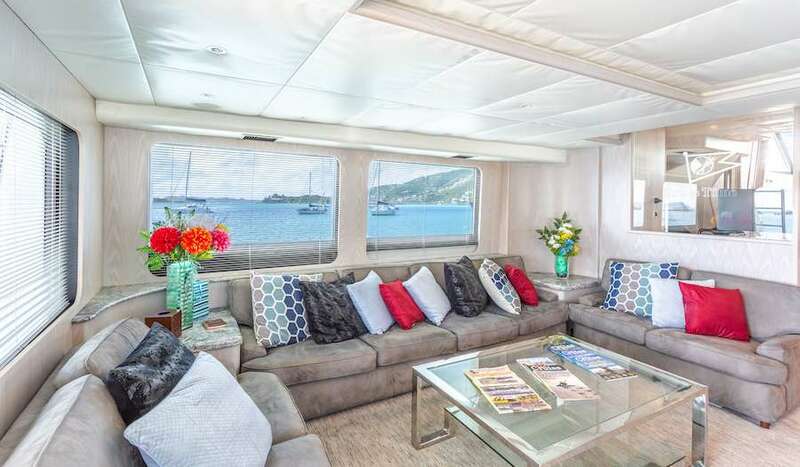 A spacious new millennium launch from the Pacific Northwest's Nordlund Shipyard, PRIME TiME features 86 feet of commodious luxury for up to 6 guests in he British Virgin Islands. 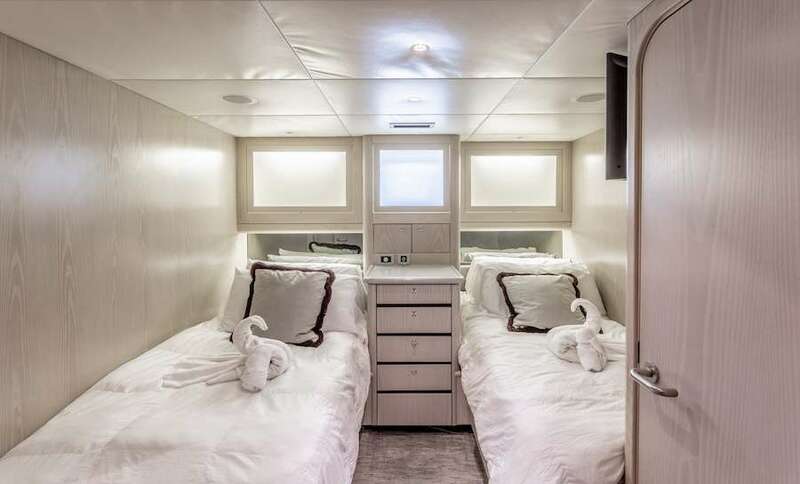 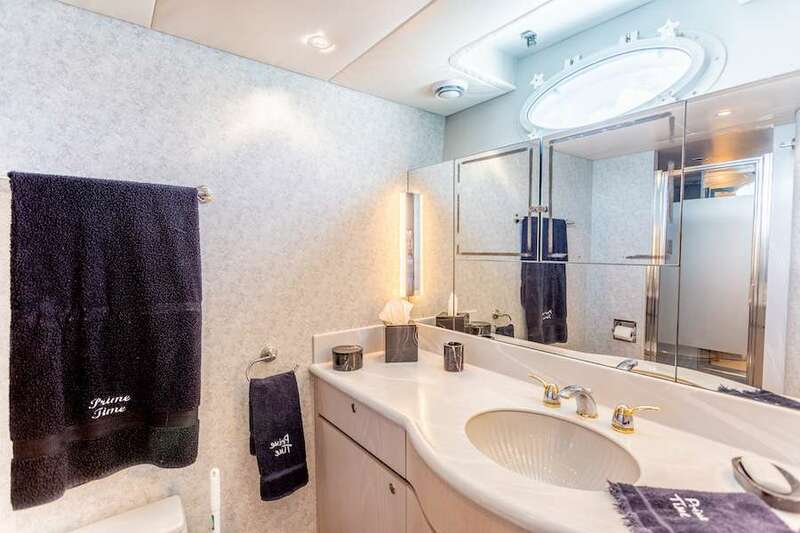 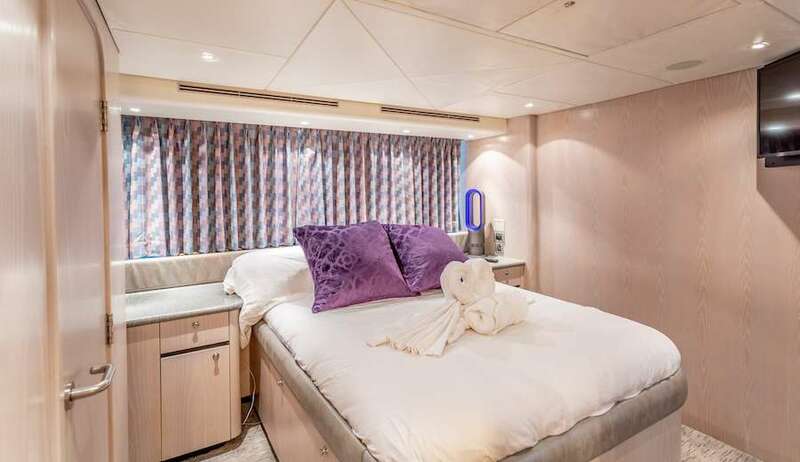 PRIME TIME offers guests a full width King berth guest suite with his & hers head and shower, a VIP Queen berth guests suite, and a twin berth guest suite, all with TV. 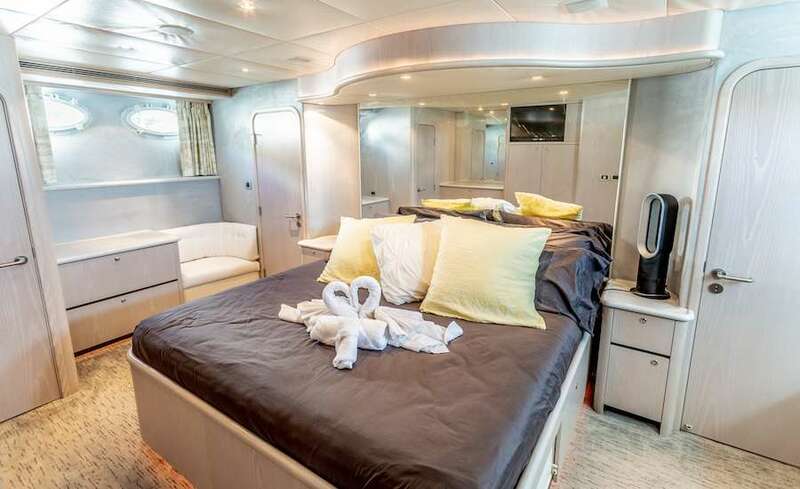 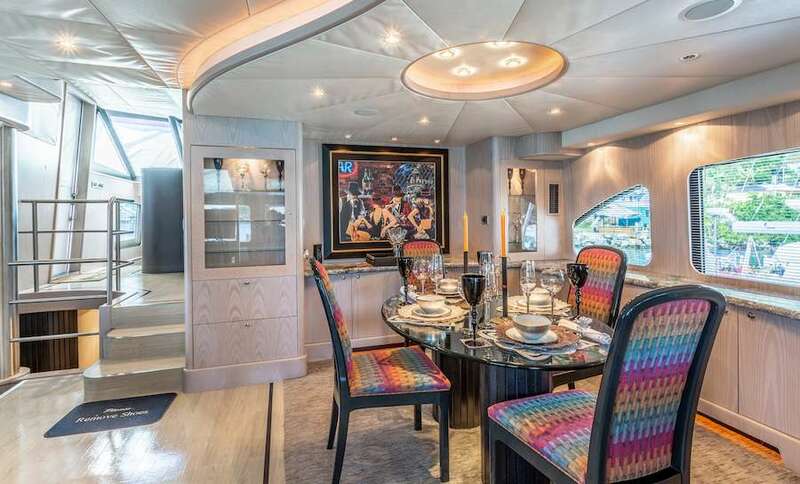 The large saloon and dining room are complimented by comfy and more intimate settee adjacent to the galley. 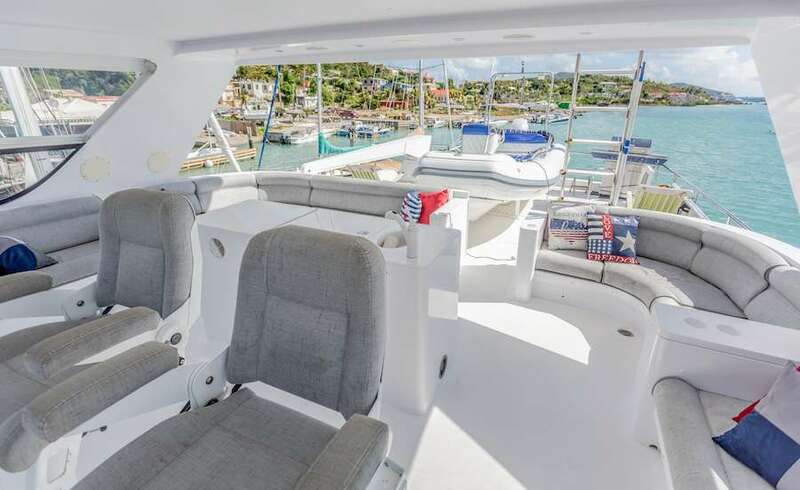 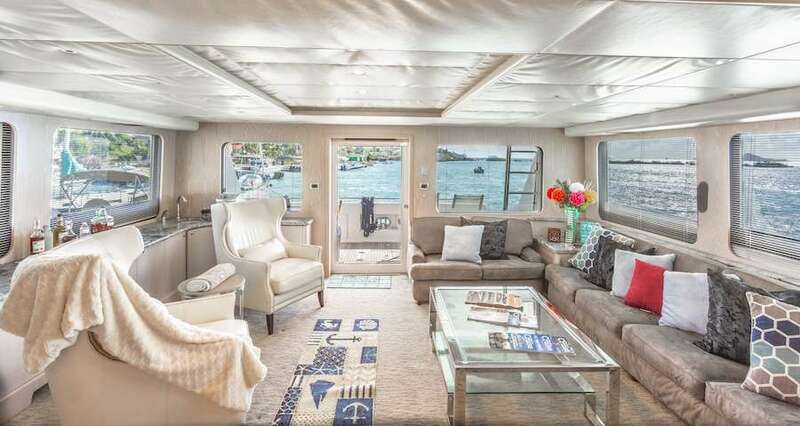 Topside, PRIME TIME features a flybridge deck with ample seating and a spacious sundeck for lounge chairs and bar-b-quing.